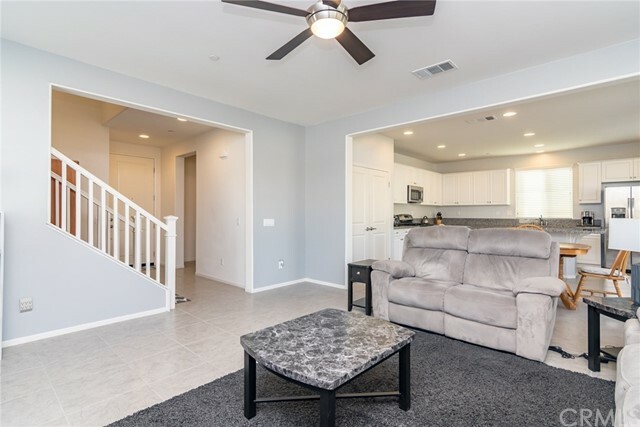 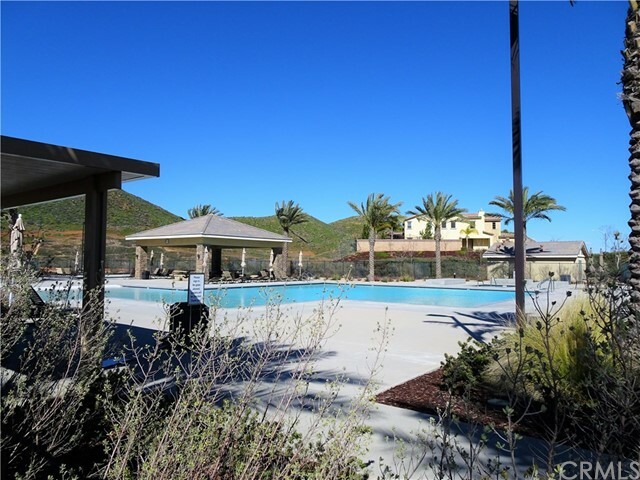 Canyon Hills is an exciting master planned community w/ recreation centers, pools/spa, sports courts, 900 acres of preserved open space, sports park w/ splash zone & there's even a dog park. 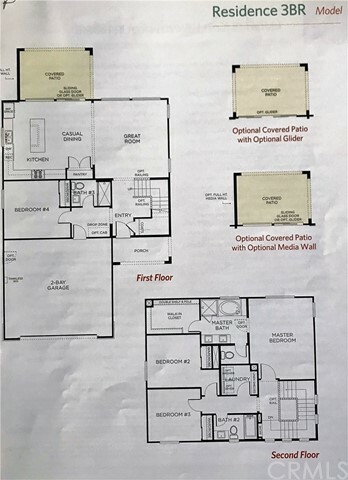 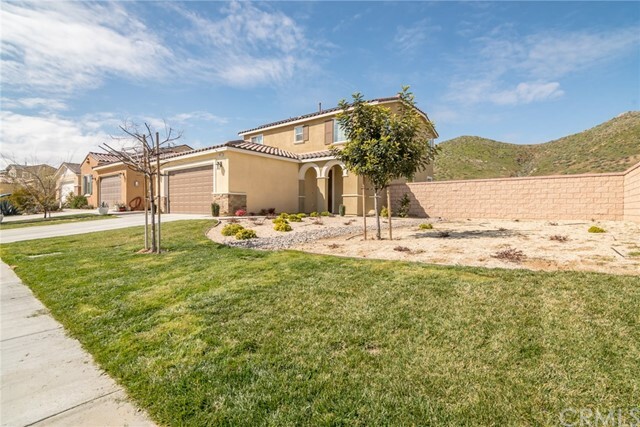 This gorgeous home has a fantastic floor plan with a highly sought after downstairs bedroom & full bathroom. 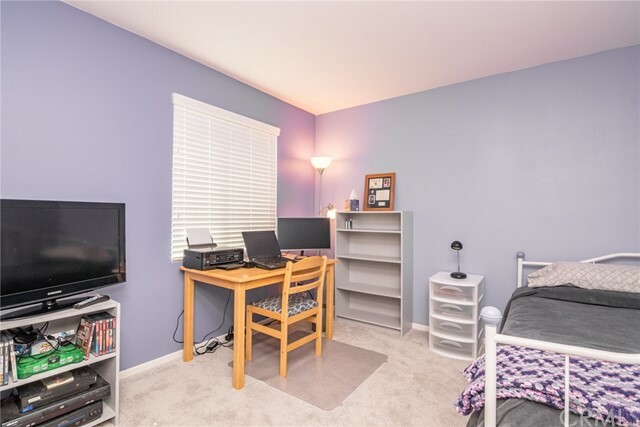 A must have for live-in parents, home office or overnight guest. 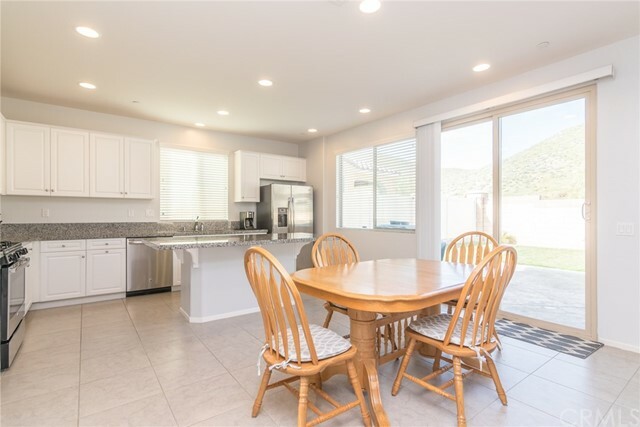 The main floor flows from kitchen to the casual dining area & family room. 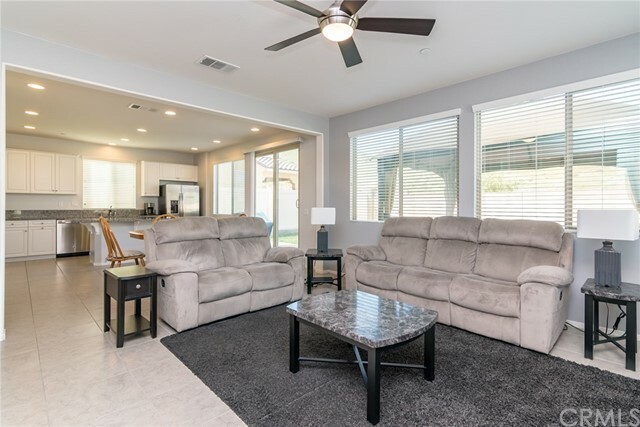 This is the ideal living space for entertaining. 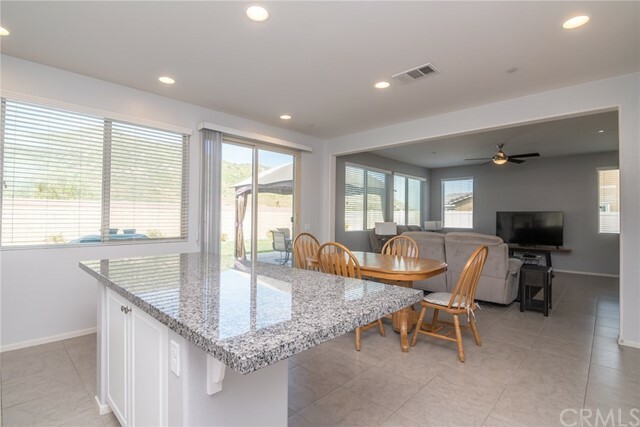 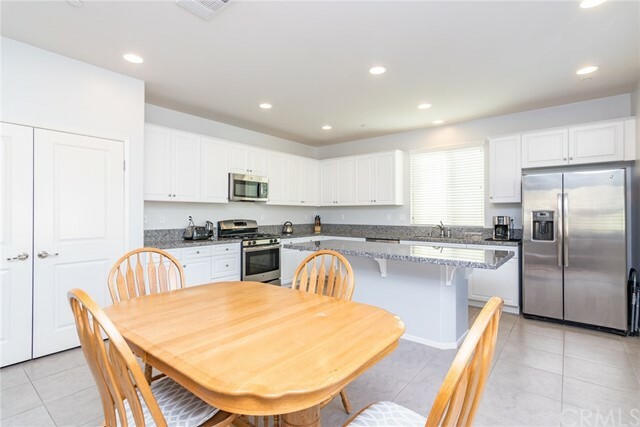 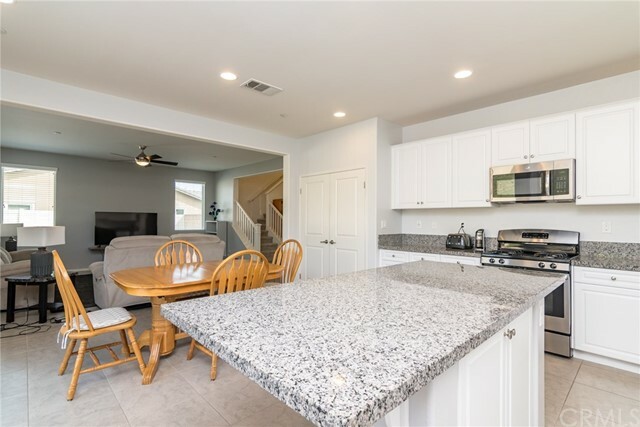 Fresh & clean white cabinets w/ recycling drawer, beautiful granite counter tops, stainless steel appliances & a generous 7' x 4' gourmet island make this kitchen an inviting area for gathering. 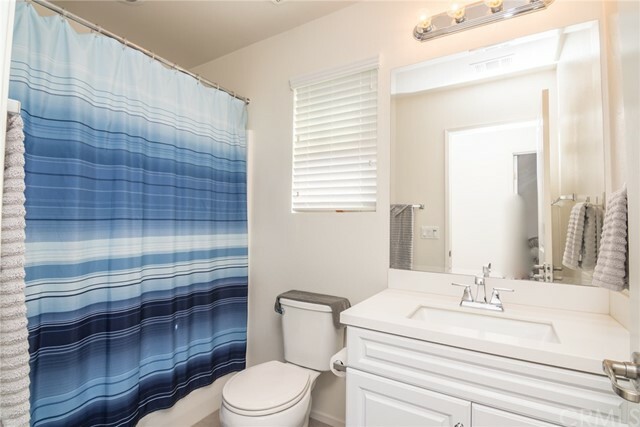 Upgraded tile flooring throughout the entire downstairs. 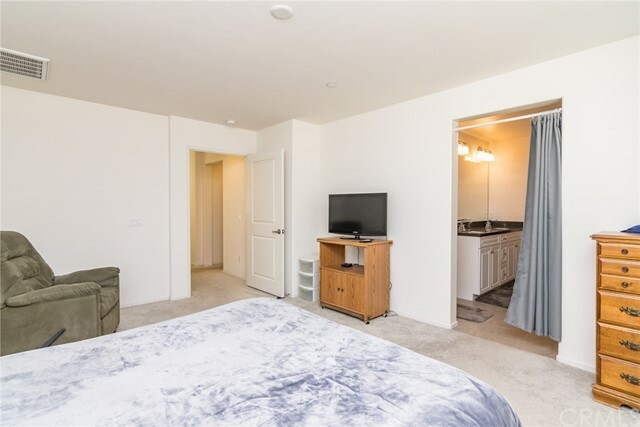 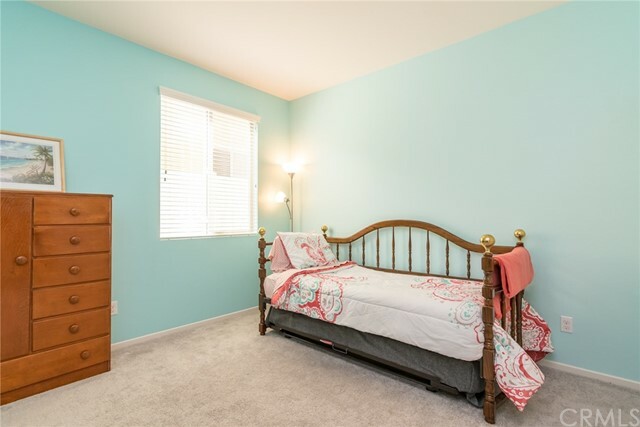 All bedrooms are spacious & pre-wired for ceiling fans. 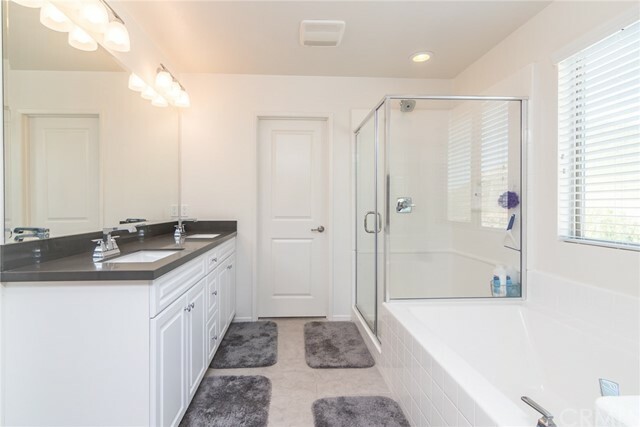 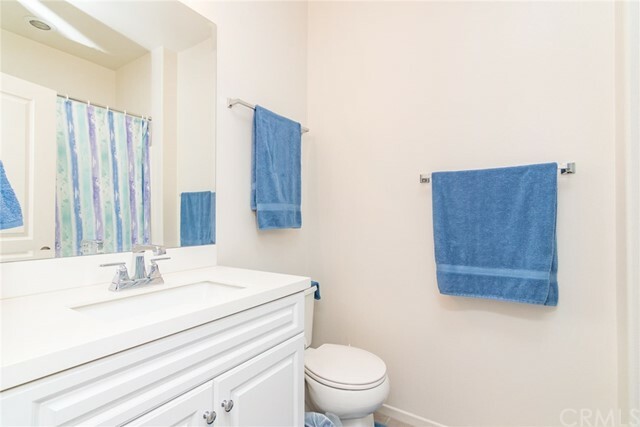 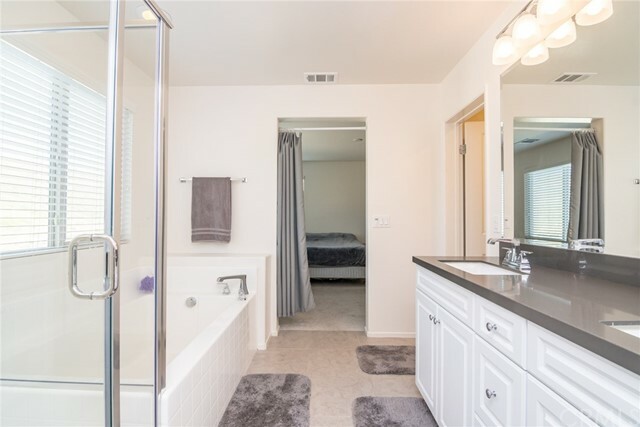 Deep soaking tub/separate shower & a huge walk in closet in the master bathroom are an added bonus. 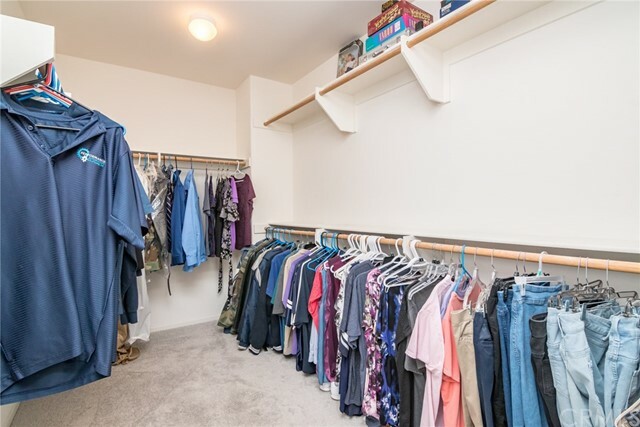 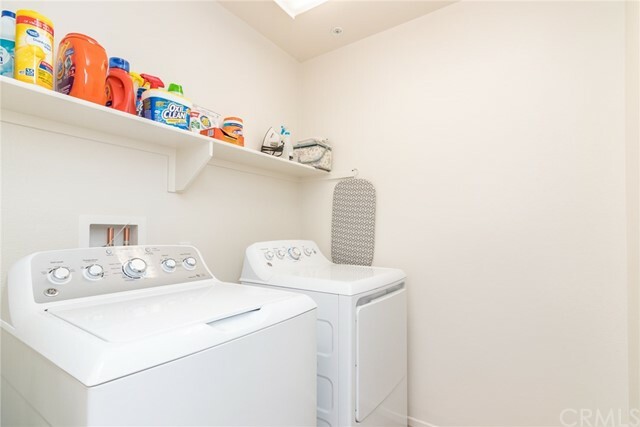 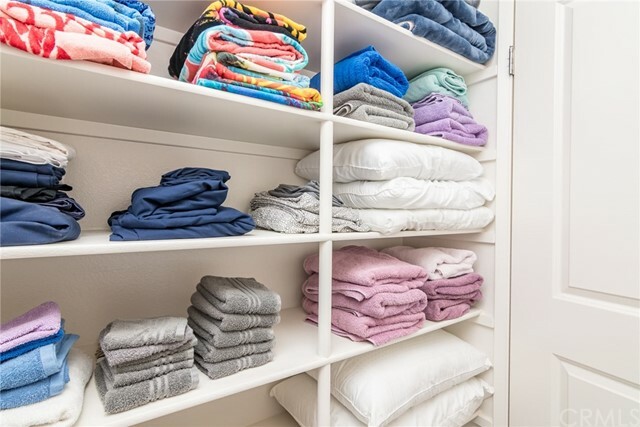 Upstairs laundry room is very convenient & offers extra storage shelves for linen and towels. 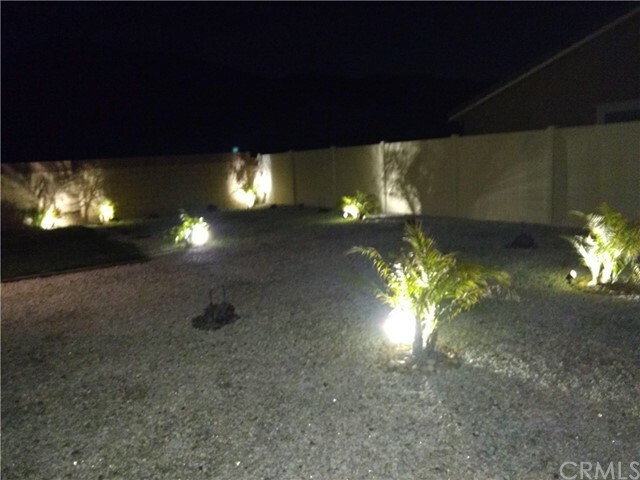 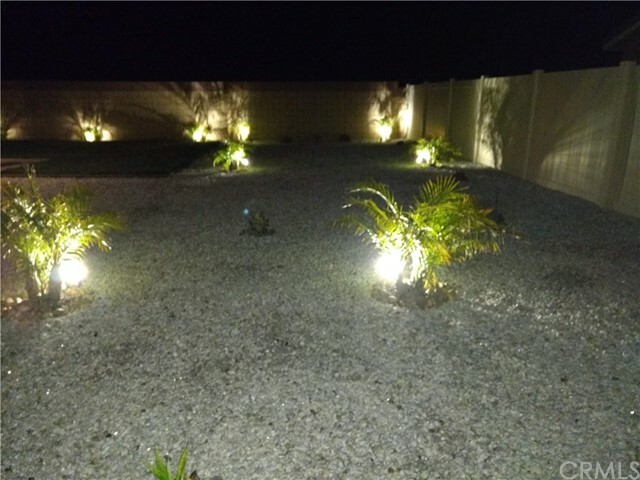 The backyard is beautifully landscaped and designed with relaxation in mind. 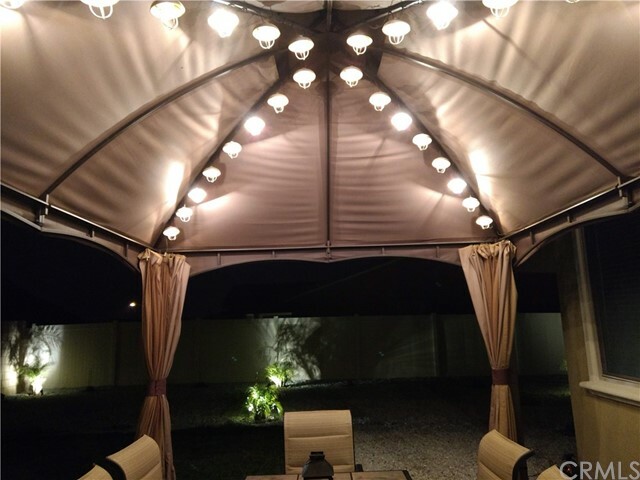 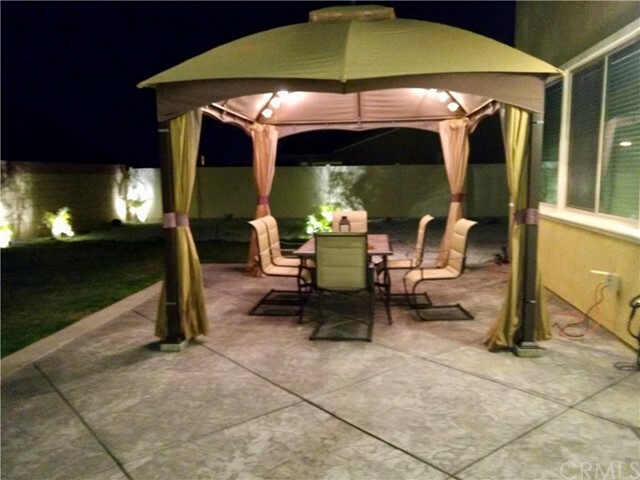 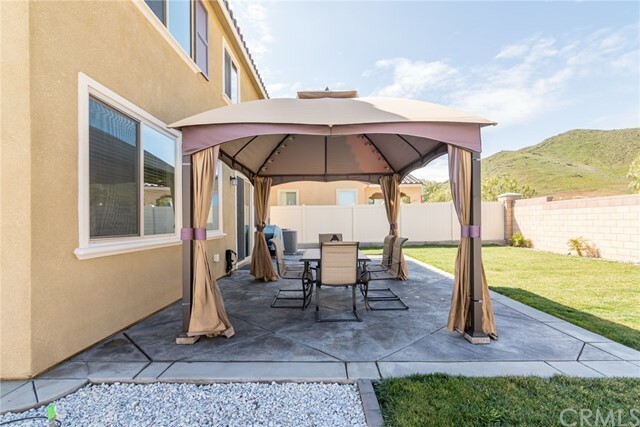 Complimented with a screened gazebo, stamped concrete patio and abundant outdoor lighting. 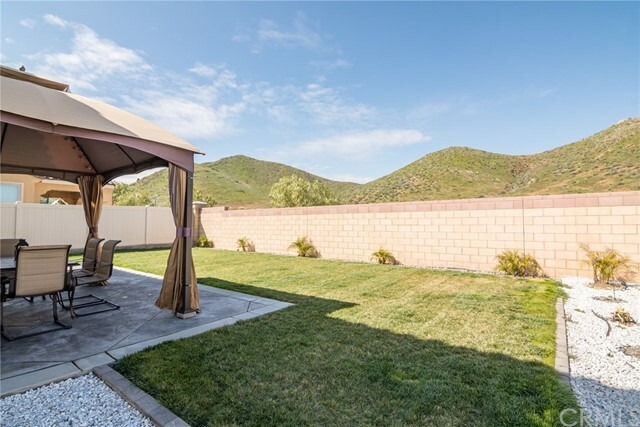 Enjoy the unobstructed hillside views. 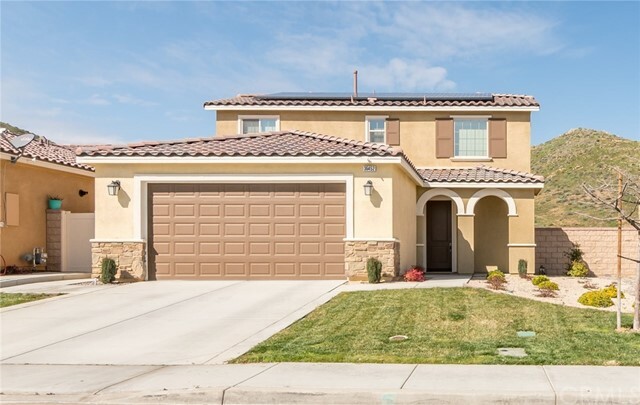 Energy saving features include 15 solar panels & tankless water heater. 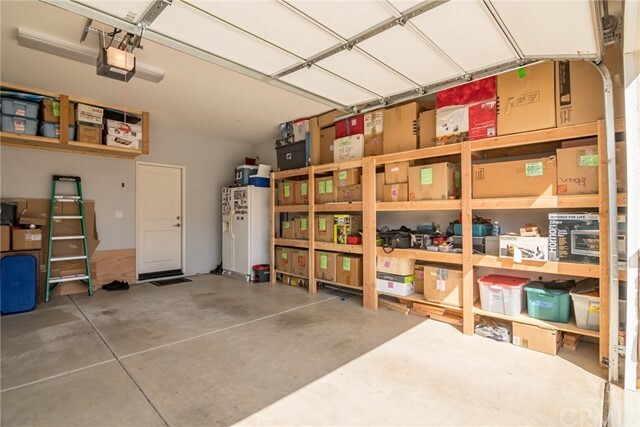 2 car garage w/ built in storage shelves. 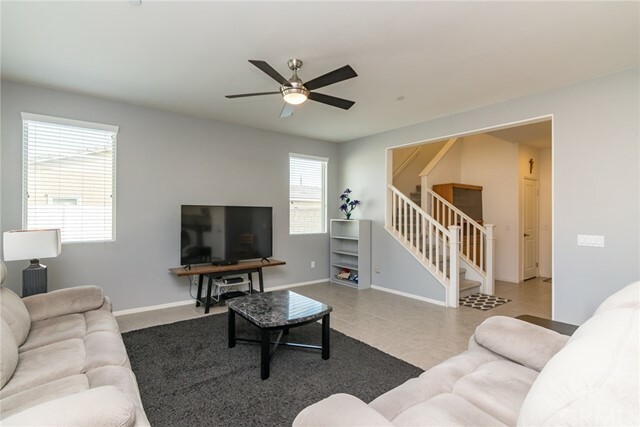 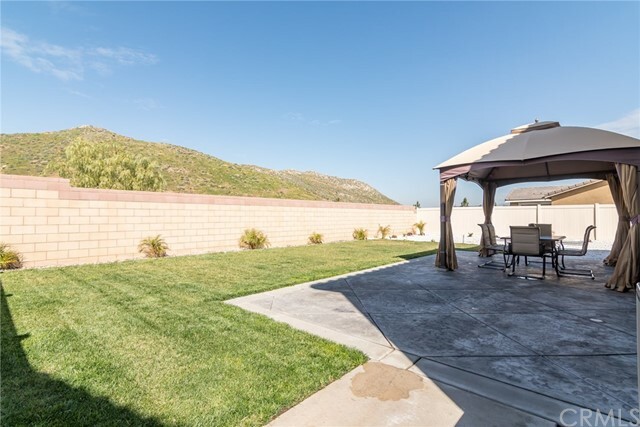 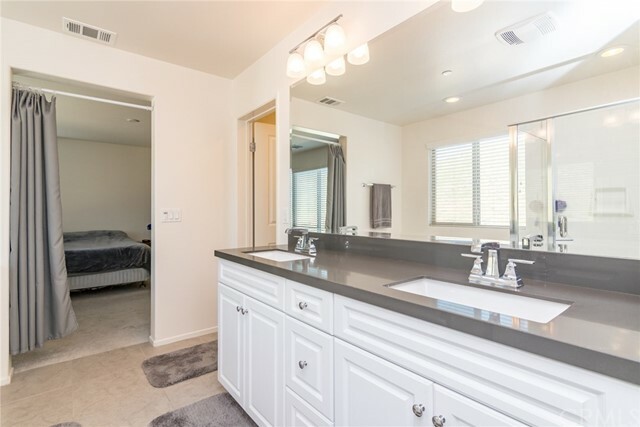 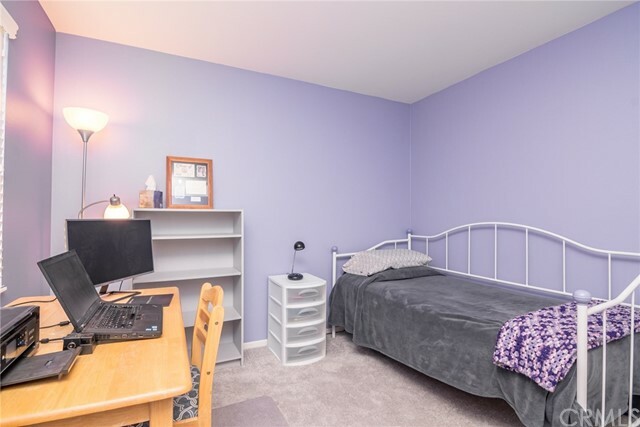 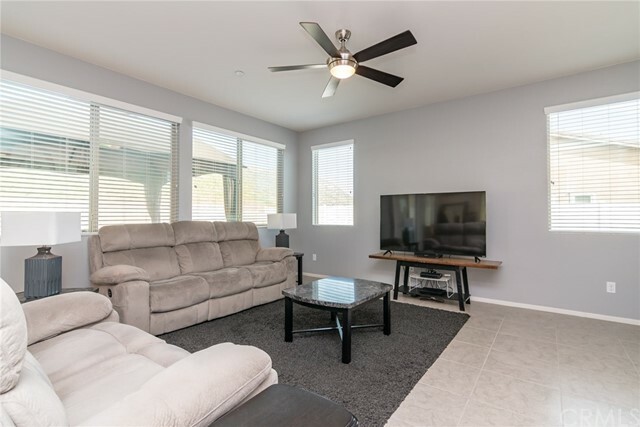 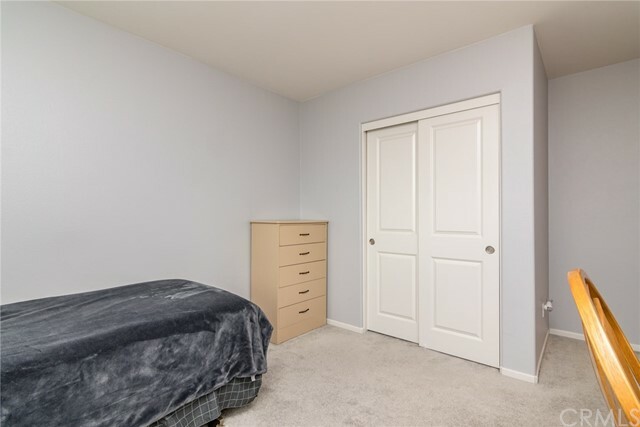 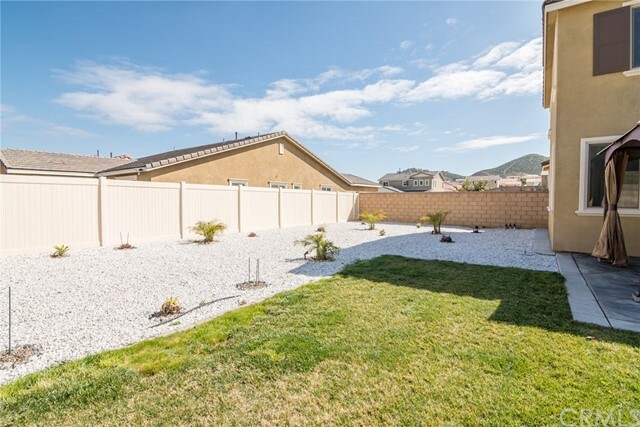 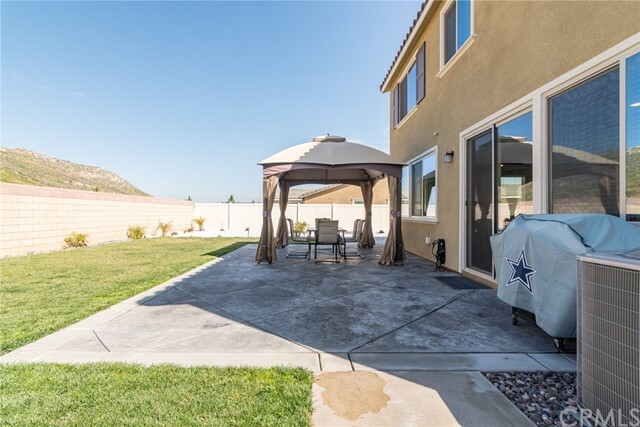 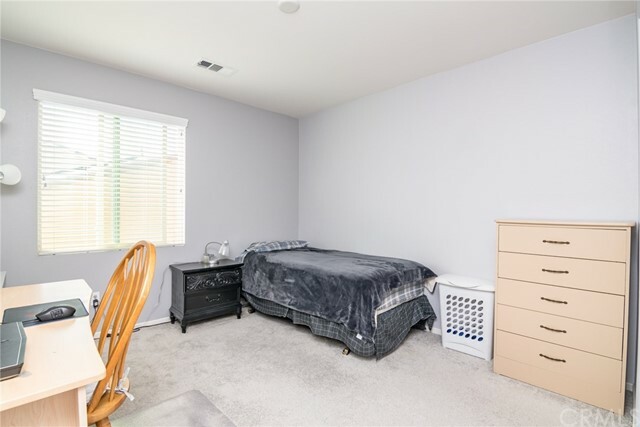 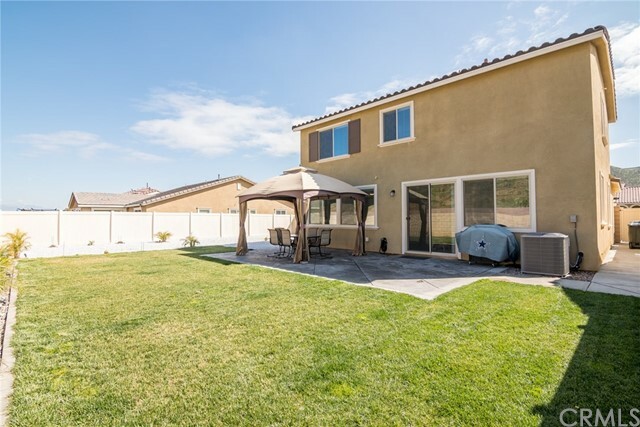 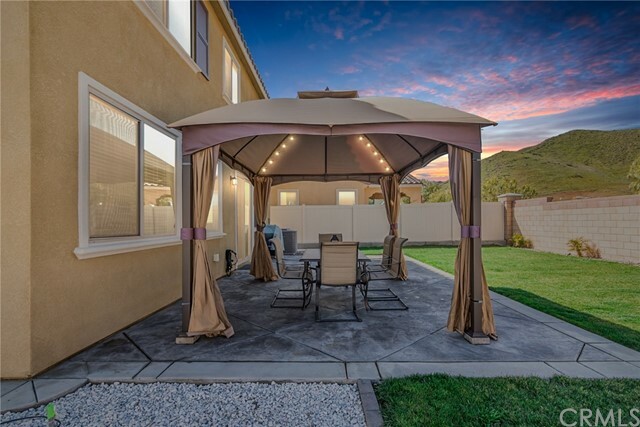 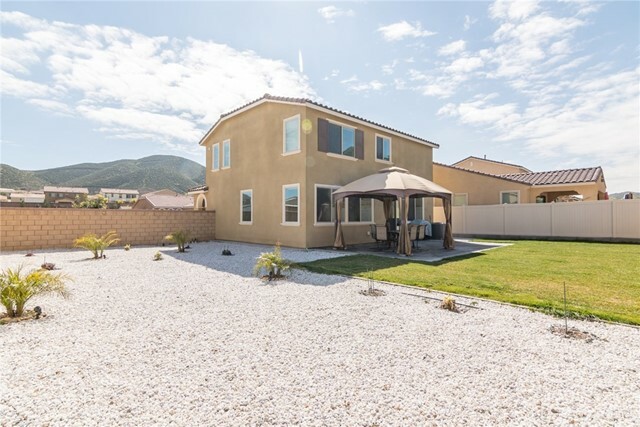 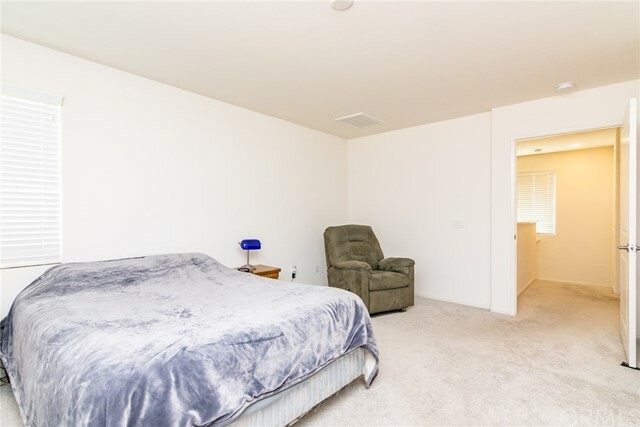 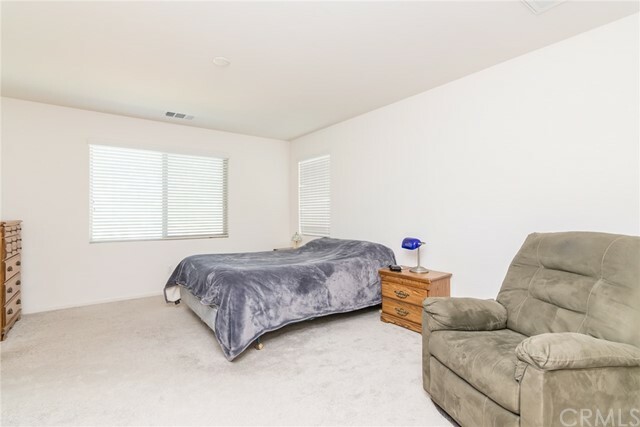 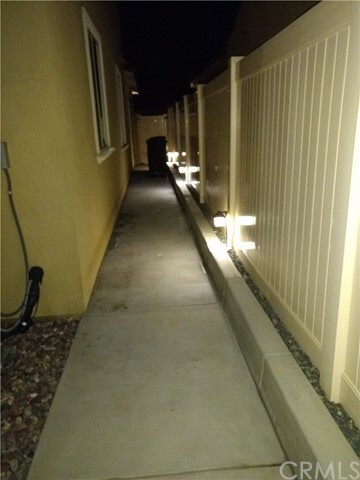 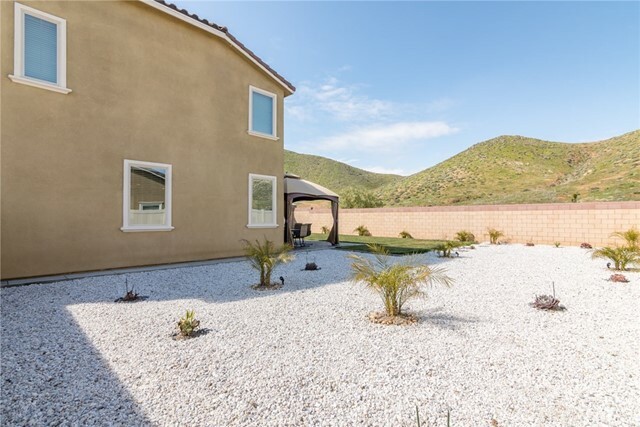 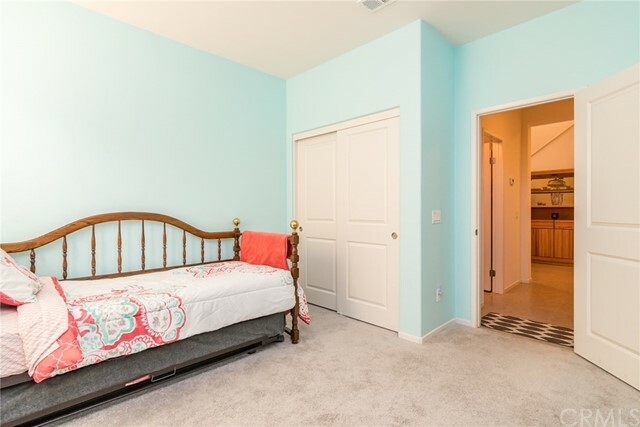 Centrally located with quick access to the I-215 and I-15 freeway, close to schools & shopping. 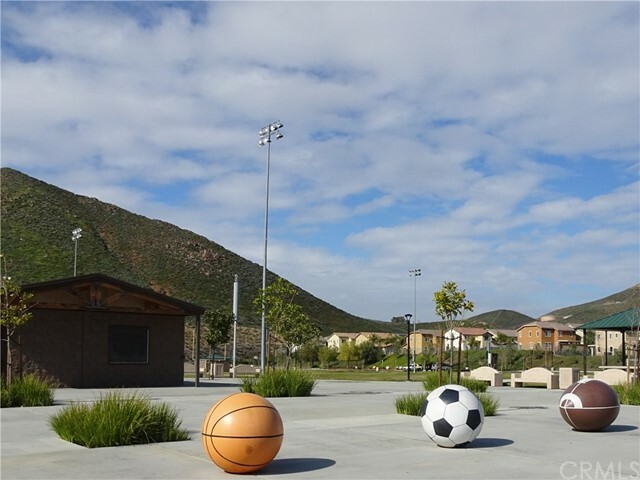 Great location for Camp Pendleton/San Diego/Orange County/March ARB commuters.